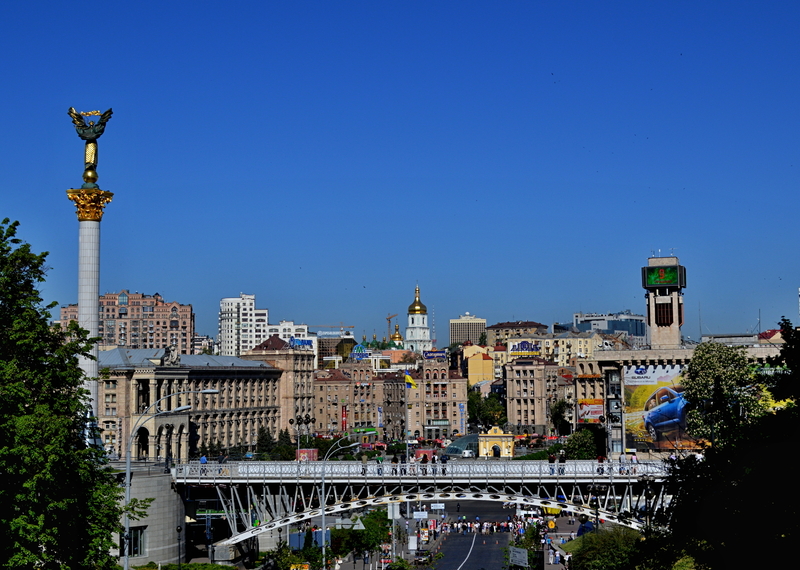 Kyiv – Photo of the Day | Aren't We All Just Tourists Here? The Maidan (Independence Square) in Kyiv, during happier and much cleaner times.. last summer taken from the hill on Institutska Street. It offers a very nice panoramic view of the city below. The golden domed building in the center is the bell tower at St. Sophia’s Monastery. This entry was posted in Photography, Travel and tagged city, Independence Square, Kyiv, Maidan, skyline, Ukraine by Steven. Bookmark the permalink.